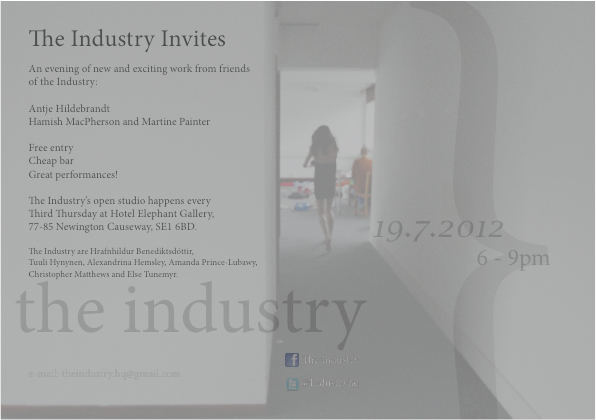 We are performing on Thursday 19 July along with Antje Hildebrandt at ‘The Industry Invites’ at the Hotel Elephant Gallery, near Elephant and Castle, London (map). The evening runs from 6-9pm. There’s free entry, a cheap bar, great performances and post performance drinks at a pub nearby.